In the world of Instagram-worthy food, ice cream has become the preferred medium. Across the country, a growing number of emerging ice cream concepts are tempting guests in with visuals, rather than just with interesting flavors. 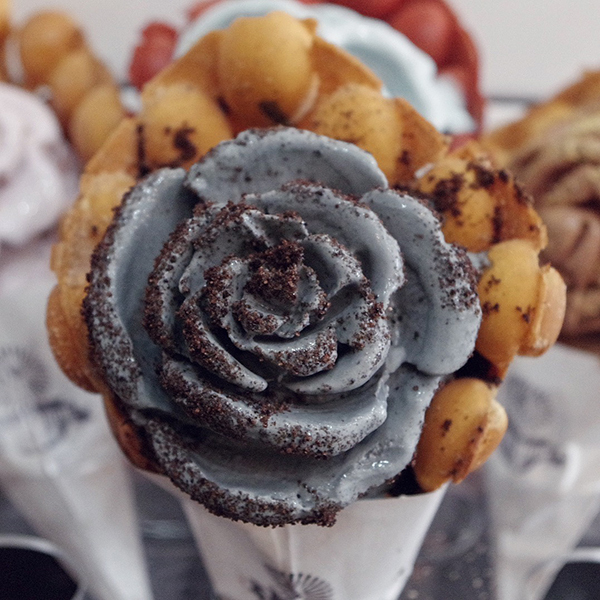 Cauldron Ice Cream, for example, in Santa Ana, Calif., first went viral with its unusual warm Puffle Cones, a variation on a Hong Kong-style waffle that owners Terence Lioe and Desiree Le created as the vehicle for their ice cream. Puffle cones are available in the original waffle flavor, as well as red velvet and churro versions. The ice cream for each cone is made-to-order using liquid nitrogen freezing, which creates a smooth and creamy scoop. After launching a franchising program with Fransmart earlier this year, Cauldron expects to have four units open by the end of 2017, including a second company-owned store also in the Los Angeles area. The couple realized early on how vital social media would be in marketing their brand. The ice cream shop is designed with Instagram in mind, with photographable backdrops on every wall and photo-friendly lighting. “No matter where you’re standing, there’s an opportunity for a pictures,” said Le. With the launch of a rose water-flavored ice cream, however, Cauldron’s scoopers began shaping cones into a rose, which also went viral. The first rose cone happened accidentally, “but we decided to go with it,” Le said. Initially the blossom shape was available for the rose water and cherry blossom ice cream flavors, but now about 85 percent of guests ask for a rose-shaped scoop in all flavors, said Le. The only challenge is getting the photo before the ice cream starts to melt. “You have to decide, are you going to eat it or take the picture,” she said.